URJA is one of the leading transformer manufacturing company in India, established in the year 1996. A pioneer in electrical engineering in the private sector, the company has a reputation for quality which characterizes every facet of its products and services. URJA is a fastest growing company in the transformer industry. It has achieved this through constant innovation and significant differentiation for its customers by providing solutions, low cost production and being on time, every time. Going back 22 years, URJAâ��s leading position in today's energy market and growing worldwide presence is the result of pioneering innovation, technological expertise and an unwavering commitment to quality and customer service. Ever since its foundation in 1996, URJA has made an impact in the industry and its products have been inspected and accepted by several internationally reputed third-party Inspection Agencies like Bureau Veritas, DNV, Fichtner, Lloyds Register, Societe Generale de Surveillance (SGS) & RW-TUV as also eminent research and technical organizations in India like RITES, ERDA & CPRI and supplying regularly its products under the inspection and certification of these Inspection Agencies. URJAâ��s Plant is ISO 9001-2008;ISO 14001:2004 - Environmental Standards and Management Certification; OHSAS 18001:2007 - Certification for Occupational Health & Safety Assessment Systems, certified with the State-of-art manufacturing and testing facilities as per IS, IEC & ANSI Standards. The Company periodically conducts surveillance audits of both ISO 14001 and OHSAS 18001, to ensure continued conformity with these standards. URJA has been assigned a Trust SEAL by India MART based on certain credibility parameters which are basically the legal evidence of entityâ��s credentials. URJA is a part of the Dun & Bradstreet Global Database and has been assigned the D&B D-U-N-SÂ® Number:85-836-33, the highest credit rating: SE2A. 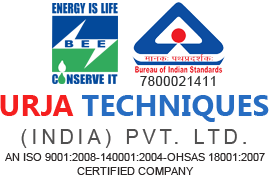 URJA is an approved vendor of Maharashtra State Electricity Distribution Co. Ltd., Tata Electric Company Ltd., Torrent Power Ltd, Reliance Infrastructure Ltd, Jaipur Vidyut Vitran Nigam Ltd., M.P. Poorv Kshetra Vidyut Vitaran Co. Ltd. and Military Engineering Services.